Your toothbrush is home to more than 100 million bacteria including E. coli and staphylococci (Staph) bacteria, according to researchers at the University of Manchester in England. Where you store your toothbrush in your bathroom is important. In most bathrooms, the toilet is very close to the sink, where most people keep their toothbrushes. Every time you flush, bacteria are released into the air – and you don’t want that bacteria to get on your toothbrush. Your mouth is also full of bacteria and your toothbrush probably won’t make you sick, but there are ways to keep it clean so you stay healthy. BioArmor Infection Control has come up with a way to keep your toothbrush sanitary 24/7 when you’re not using your toothbrush. It’s the Oral Hygiene Organizer. Our Oral Hygiene Organizer not only organizes your mouth freshening tools, but is also 100% antimicrobial. This means germs won’t attach to the organizer because the antimicrobial agent repels germs. 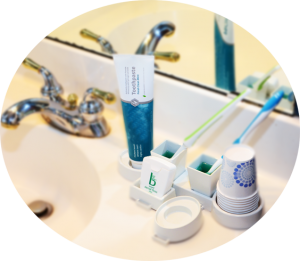 The BioArmor Oral Hygiene Organizer device is designed in modules, which makes it versatile and expandable, designed for just two or up to five people. It is also compact and easy for travel, taking up a small space with a sleeve for easy transport. It includes a compartment for toothpaste, toothbrush containers for mouthwash of choice, and a space for disposable cups. 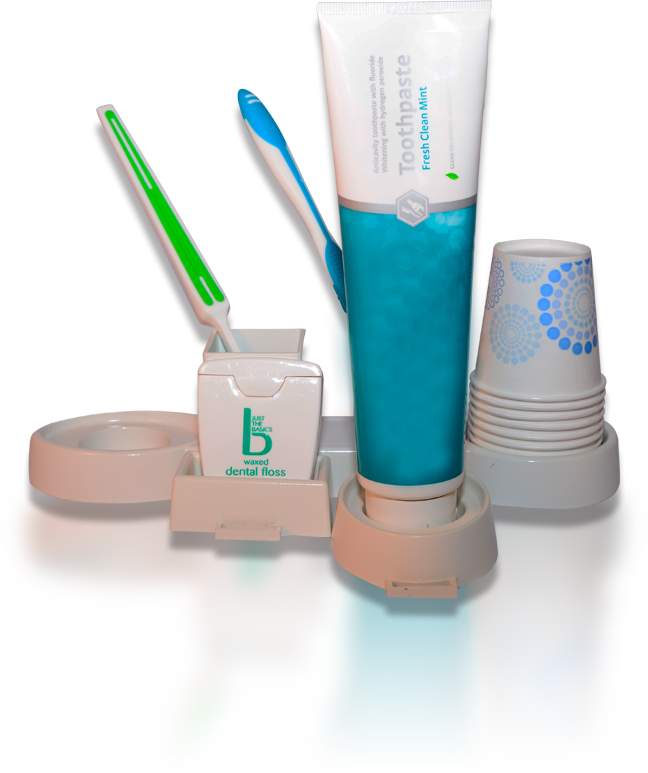 The BioArmor Oral Hygiene Organizer will soon be available at select Bed, Bath, and Beyond stores. To learn more about the product, call 800-701-6743.